Kick off your visit on the 21st (Fri): take in the waterfront at Kingston Pier and then contemplate the long history of Kingston and Arthur's Vale Historic Area. To find ratings, reviews, photos, and tourist information, use the Norfolk Island online travel route planner . Sydney to Norfolk Island is an approximately 5-hour flight. The time zone difference when traveling from Sydney to Norfolk Island is 1 hour. Traveling from Sydney in June, expect somewhat warmer with lows of 17°C in Norfolk Island. Finish up your sightseeing early on the 22nd (Sat) so you can catch the flight to Broome. 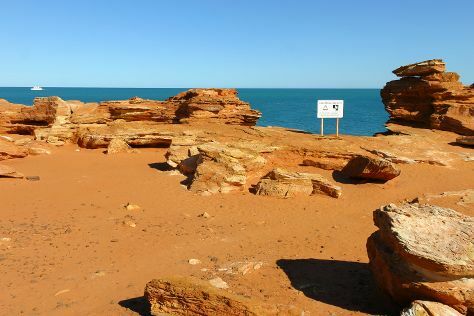 On the 23rd (Sun), get engrossed in the history at Broome Historical Museum, explore the striking landscape at Gantheaume Point, then kick back and relax at Cable Beach, and finally stroll the grounds of Japanese Cemetery. For more things to do, traveler tips, where to stay, and other tourist information, read Broome trip itinerary planner . Getting from Norfolk Island to Broome by flight takes about 14.5 hours. The time zone difference moving from Norfolk Time to Australian Western Standard Time is minus 3 hours. When traveling from Norfolk Island in June, plan for somewhat warmer days and about the same nights in Broome: temperatures range from 35°C by day to 19°C at night. Cap off your sightseeing on the 23rd (Sun) early enough to travel to Darwin. Kick off your visit on the 24th (Mon): race across the water with a speed boat tour and then see the interesting displays at Defence of Darwin Experience. Plan my day in Darwin using traveler tips and tourist information provided by Inspirock. Getting from Broome to Darwin by flight takes about 6 hours. Other options: drive; or take a bus. Traveling from Broome to Darwin, you'll lose 1 hour due to the time zone difference. Traveling from Broome in June, expect a bit warmer with lows of 24°C in Darwin. Cap off your sightseeing on the 24th (Mon) early enough to travel back home.